Iran’s president says the United States has been defeated in confrontation with Iran on the political front, as almost the entire world stood by the Islamic Republic against Washington’s unilateral approach. “With regards to foreign policy, Iran is the winner in this saga at the moment, and I don’t think anyone has any doubts about this issue,” he said. 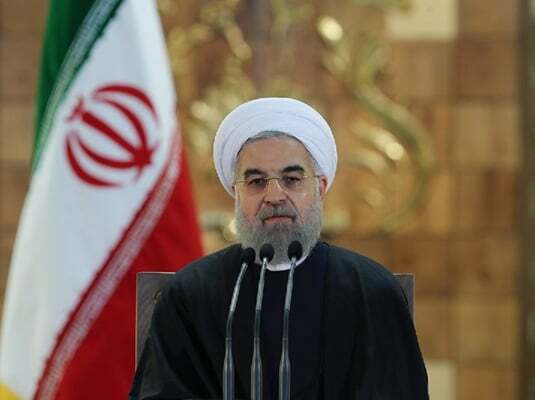 President Rouhani said almost all countries have criticized Washington’s withdrawal from the Iran nuclear deal known as the Joint Comprehensive Plan of Action (JCPOA). “Except a handful of countries, nobody in the world regards the United States’ pullout from the JCPOA was the right decision. Even those who are too cautious express regret. Those who speak more straightforwardly say the US made a mistake, and those who are even more straightforward say the US move was against laws and regulations,” said the president. Rouhani also referred to US President Donald Trump’s anti-Iran position at the United Nations. “You saw the recent meeting of the UN General Assembly and the speeches made there. Mr. Trump even chaired the UN Security Council meeting in order to deal a blow to Iran and get confirmation for his policies. But what response did he get? All 14 other Security Council members hailed the JCPOA,” he said. The president further touched upon Washington’s grudge against Iran. “During the past 40 years, no team at the US government has been more spiteful to Iran than the incumbent US government,” he said. “Currently, the worst individuals have assembled at the White House,” he said. President Rouhani also referred to the psychological warfare launched by the US against Iran. “They began their work with a war of nerves, and their medium-term objective is an economic war. Their third objective is [to target] the [Iranian] system’s efficiency, and their final objective is to delegitimize the system,” he noted. The president highlighted that the Iranian nation will thwart all these plots through unity and solidarity. Elsewhere in his remarks, the president touched upon Europe’s trade cooperation with Iran. “Today, under the United States’ unfair laws, the fate of European firms is such that if they stop cooperation with us, they will be fined by the European Court, and if they continue their cooperation as agreed, they will be fined by the US, and such a thing has been unprecedented in the history of Europe-US relations,” said Rouhani. The president further reiterated that Iranian people do have economic problems, saying the government has undertaken to provide people’s basic necessities and urgent commodities at reasonable prices. He said the first priority of the country is to solve economic problems. “We should settle these problems with calm and further hope,” he said. President Rouhani also highlighted universities’ key role in promoting national culture as well as training students to be knowledgeable, responsible and skillful. The president also urged universities to marry theory and practice and not settle for theoretical lessons alone.